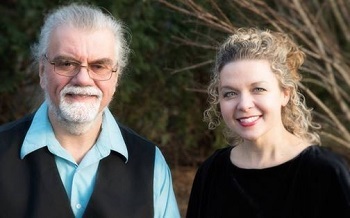 Beth McDonald and Joe Holt return to the Stoltz for an evening of original music, classic jazz and pop, and songs of the season. What might seem on the surface like an odd pairing has been called musical magic. Beth and Joe have worked together for more than a decade and in addition to other recordings, they’ve released two albums as a duo. Joe, on the other hand, could be called “almost unrestrained” - in an entertaining way, of course. Soulful, contemplative, whimsical and hard swinging, he evokes the spirit of classic jazz pianists such as Oscar Peterson, Dave McKenna, Fats Waller and Bill Evans, with a touch of Victor Borge.